A lot of girls are catching on to the ombre hair craze! I really love it! I recently did a subtle version that helped me ease into it! If you are unfamiliar it's having colors or tones that shade into each other. It gives you a cool dimension. I've been blond for several years and have sported the same look! How many of you need an update? It's so hard to make a change. My natural color is a medium brown. So the stylist starts with close to your natural at the root. Mixed a medium reddish brown for the middle and lightener on the ends. For those poser blondes like me, the benefit is having to color your hair less! It can get spenny going once a month! You can also reverse this process, going lighter to darker! Research salons in your area that specialize in this type of color! 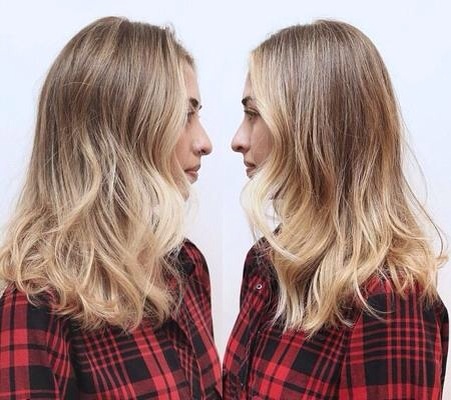 Ombre is more than just hair. 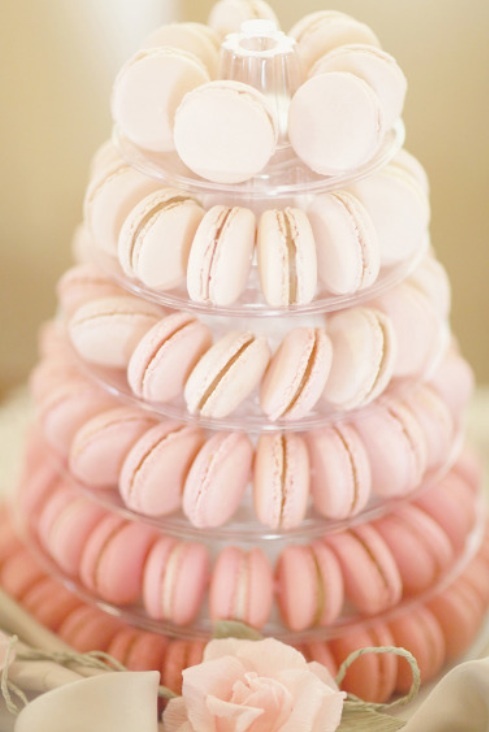 With my company Sweet Darling Patisserie, we have experimented with Macarons! A gorgeous statement! Wow your guests! Here's a fun challenge this week! I've always wanted to try making an Ombre Cake! My favorite color is pink! First step is to go to Michaels Crafts to pick out your favorite gel food coloring. You don't have to buy several colors. When mixing the buttercream you can stagger the amount you put in different bowls to make different shades of a color! I'm going to attach a Wilton cake recipe below. If you feel like just grabbing Betty Crocker white cake, that works just as well! The recipe is below! Preheat oven to 325°F. Prepare pans with vegetable pan spray. In medium bowl, sift together flour, baking powder and salt; set aside. In large bowl, beat butter and sugar with electric mixer until light and fluffy. Add egg whites one at a time, beating well after each addition. Add vanilla and beat well. Add flour mixture to butter mixture alternately with milk; beat until just combined. If desired, tint portions of cake batter with icing color. Divide evenly into 3 or 4 prepared pans. Bake 17-20 minutes or until toothpick inserted in center of cake comes out clean. Cool 5 minutes in pan on cooling grid; remove and cool completely before icing. For icing, beat shortening and butter in large bowl with electric mixer until light and fluffy. Beat in vanilla. Gradually add sugar, one cup at a time, beating well on medium speed. Scrape sides and bottom of bowl often. When all sugar has been mixed in, icing will appear dry. Gradually add milk; beat at medium speed until light and fluffy. To assemble, cut the crowns off of each cake layer. Place first layer on cake board or serving plate. Spread a layer of icing to edges of cake. Top with second cake. Repeat with remaining icing and cake. Ice top and sides of cake.